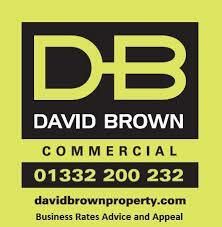 David Brown Commercial has over 25 years’ experience focused specifically on the commercial property market in Derby and the surrounding counties. We offer innovative solutions to all commercial and industrial property issues. Our agency services include sales, lettings, and acquisitions of all industrial, commercial and retail property, in addition to residential land. We are RICS Registered valuers and thus offer comprehensive professional services including valuations to RICS Standards for all purposes, lease negotiations, compensation and rating.